Jono provides vocal coaching for professional singers, contemporary artists and musical theatre performers. He combines a unique compliment of skills to provide a well blended approach to maximise the possibilities of the voice. Jono adapts a holistic approach, with a deep focus on sustainable vocal technique, contemporary vocal styling and dynamic performance skills. Jono is a senior vocal lecturer at the Academy of Contemporary Music (ACM), featuring in the BBC3 programme “The School That Rocks”, where he also delivers and writes for the degree curriculum. He works as a vocal coach for The Voice Kids, The Voice, Wedding Day Winners and Change Your Tune, all airing on BBC1 and ITV. An artist and singer in his own right, Jono has also performed with Michael Buble, Josh Groban, Nelly, Jamie Cullum, Lemar, George Ezra and Jocelyn Brown, to name a but a few. He has also recently released a new album, Broken Lives available as a digital release on Spotify, Apple Music and Tidal. Jono combines experience on stage with a deep understanding of vocal function to provide an inspirational coaching experience. He has also presented workshops and masterclasses for a variety of occasions, including the British Voice Association, the Voice Council, Vocology in Practice, and has had a cover feature in the iSing online magazine. Check out some more videos of Jono's clients on the Blog page. Jono is currently working as a vocal coach on ITV's third series of The Voice Kids UK after the huge success of the first. The new series will air in summer 2019. Check out this incredible performance of the winner Jess Folley (below), who he coached on the first series. Jono is also coaching on two new primetime TV shows airing on BBC1 and ITV next year. More to be announced but keep your eyes pealed. 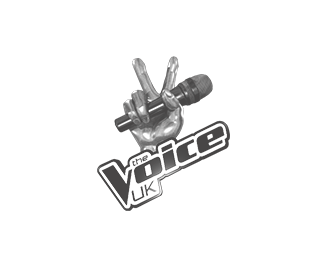 If you know someone between 7 and 14 and you think they've got what it takes to enter the third series of The Voice Kids on ITV, make sure they apply! After a hiatus as a recording artist, Jono releases a brand new album combining electronic and dance floor influences with emotional song writing. The album is called Broken Lives and is a product of his musical and personal reinvention. The lyrical content cuts deeply into his coming out experiences, it is also a journey of triumph and reconciliation. All captured in smooth electronic sounds, deep beats and rich vocal soundscapes. The album is a digital release and is available on Spotify, Apple Music, Google Play and all good digital music stores. Look out for gigs too! Jono recently spoke on change in our approach to the coaching of contemporary vocals at the Association of Teachers of Singing Autumn Conference. If you would like to book a lesson with Jono, get in touch to tell him a little more about you. Thank you. I will aim to give you a reply within 48 hours.